IBREALEST (84.45) - See Posted dated 01st Feb 2013 and yesterday only it crossed and closed above the mentioned level of 82.50-84.50 and now one more close above this level happen then it become support and the mentioned upside target remain same and intact. 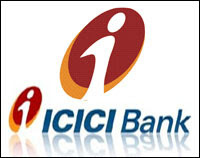 ICICIBANK (1207) - Posted on 06th May "Hope and support 1125-1110" as posted it came down and took support at 1109 on 06th may itself and from there it is moving up and up to yesterday it made high 1219. SESAGOA (168) - Posted on 05th Mar "last hope and support 145-140" as posted exactly it took support at 140.30 on 16th april and from there it is moving up and up to yesterday it made high 169.